A one-page, typed, signed letter from George Washington Carver to Clifton Johnson, on Tuskegee Institute stationery. Carver thanks Johnson for sending him some photographs and hopes Johnson will visit Tuskegee again. 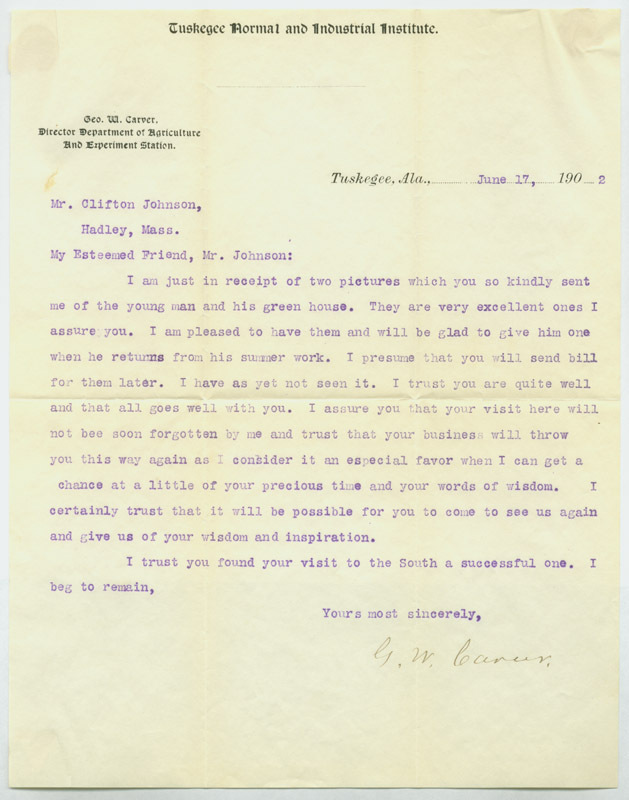 Carver, George Washington, 1864?-1943, “June 17, 1902 letter from George Washington Carver,” Digital Amherst, accessed April 26, 2019, http://digitalamherst.org/items/show/1270.